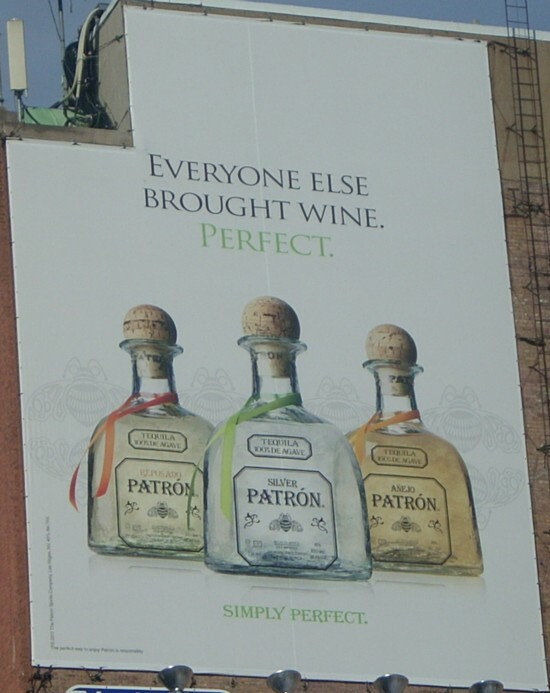 At the conscious level, the ad promotes Patrón Tequila as a distinctive alternative for social gatherings. 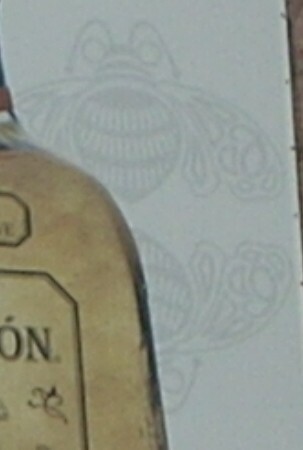 The mirror images of the bee logo in the background provide subliminal input. Walking by the billboard — and even when taking the photos — I was not aware of the low-contrast images. Each pair of bees in the pattern form a circle, like the round cork in the bottle. In the bees’ wings there are shapes similar to the number “6” and “9” when reversed. Each “6” and “9” is closely engaged with a paisley shape. 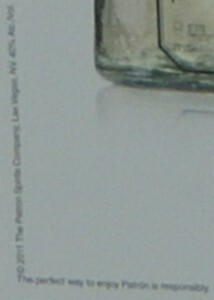 The small print feature is another curiosity. The words in the form of a right angle at the bottom left of the graphic are so tiny that even with the zoom the sense can only be discerned with difficulty.